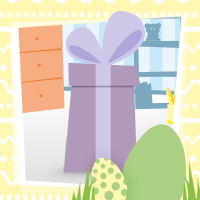 Our Easter gift to you – order now and get a voucher worth up to 35€! Spring is coming! And with it one of the busiest business seasons of the year. In a few weeks, gardens will be turned inside out and children will be looking for Easter eggs and small presents. This is also a time when the importance of outdoor and Easter products comes into the toy industry. Take this chance to enrich your assortment with the fitting products and get a free gift from us! and you can redeem the voucher with the next order you place. Get your personal Easter voucher now, easy as child’s play! This promotion is valid from March 6 to March 27 2018. * This promotional code can only be used one time per customer. Your email address won't be shown publicly.